This system has become an indispensable companion, whether for hunting abroad or at home. Not only knowledge of the exact distance to game is a decisive factor, but also the resulting holdover (requiring the hunter to aim x centimeters above or below the target) is of major importance. With the Victory 8 x 26 T* PRF, Carl Zeiss implemented the world’s first digital laser rangefinder with LED display and integrated BISTM ballistic calculator. The high-performance optics with a two-element Achromat in the 26 mm lens and Carl Zeiss T* coating provides a very bright image: its 8x magnification also makes the Victory 8x26 T* PRF ideal for long distance observation, and the 26 mm lens diameter provides reserves for poor light conditions. The 110 m field of view, measured at a distance of 1000 m, provides users with a full overview in any situation. The ergonomic design and ease of use of the Victrory PRF also leave nothing to be desired. A slight press of the measuring button displays the range and the required correction value for the point of impact in the field of view. 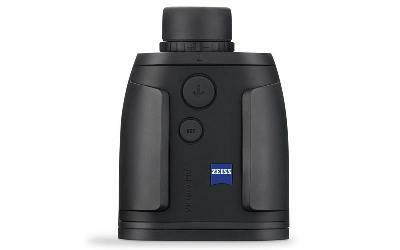 Click the button below to add the Zeiss Victory 8x26 T* PRF Monocular RangeFinder to your wish list.